The 2015 Toyota Camry vs. 2015 Hyundai Sonata starts out as a fairly close comparison between two mid-size sedans. However, given that the 2015 Camry is reintroduced to the market with its most radical redesign to date, the early edge would have to go to the Toyota sedan, available at Attrell Toyota. Adding a few more points to the 2015 Camry is the fact that Hyundai has detuned its available engine to produce less power in the name of increased fuel-economy. With this knowledge in hand, the difference in fuel-consumption between the two sedans is marginal at best. As far a driver and passenger comfort is concerned, the 2015 Camry extends its lead over the 2015 Sonata. 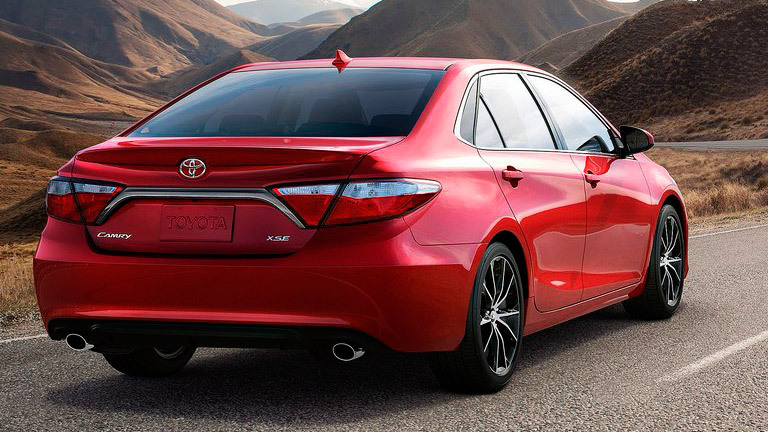 With the new exterior came a slight increase in size of the passenger cabin of the 2015 Camry. Not that space or driver comfort has ever really been an issue in the several generations of Camry production, but the 2015 version offers a bit more headroom; this becomes important when compared to the severe roof rake of the new Sonata that has been pointed out by independent sources as being an issue. The base engine options for the 2015 Camry and 2015 Sonata are fairly similar and have very close peak engine outputs. Base trim versions of the 2015 Toyota Camry starts with a 2.5-liter, four-cylinder engine that makes 178 horsepower and 170 pound-feet of torque. This is more than enough to provide competent power to get around town and navigate safely through traffic. By contrast, the 2015 Sonata offers a 2.4-liter, four-cylinder engine with a maximum power rating of a little more than 180 horsepower. Customers interested in picking up a few more horsepower would be wise to ask an Attrell sales professional about the available 3.5-liter, V-6 engine that will make 268 horsepower. This option may not be for everyone, but it offers the kind of performance and attitude that match the Camry’s new aggressive exterior. During independent testing the 2015 Camry posted a time of less than nine seconds accelerating from zero-to-60 mph. The turbocharged 2.0-liter, four-cylinder engine of the Sonata doesn’t quite hit this mark as well as using more fuel.